The Palladium is the hottest club in town where everyone is dressed to impress! If you’re ready for the night of your life, The Pallidum is the place for you! Get ready to drink and dance the night away. As you walk up to the entrance way, you see THE PALLADIUM in bright neon lights, it’s not the tacky green open sign lights, but the most glamorous neon blue and pink. Upon entering, you walk in on a red carpet with a black and gold rope lining each side. As you enter the dance floor, the lights are moving, the music is bumping and the floor is sparkling with what looks like a million fire flies. This opulent setting with the hottest music playing is nothing like you have ever seen before or will ever see again. Dressed to the nines, everyone is out on the dance floor drink in hand having the time of their life. The night never ends at The Palladium! Club Caliente is the place to go if you love to Salsa! Salsa lovers from across the globe travel to visit Club Caliente! Walking down the street you can hear the world-renowned musicians playing a variety of Music. From Salsa to Merengue you cannot wait to open the doors and start the party! The flashing sign, the wooden doors painted green you cannot wait to get inside. Walking onto the dance floor you see the dedicate outfits of the tango dancers. As they dance across the room, their technique is untouchable you are breathless. The song ends and the salsa music begins. With your dress and heels on you grab a partner and hit the floor. It’s impossible to stand still at Club Caliente! Wow they both sound amazing don’t you think? But with only one night out on the town where would you go? Comment in the conversation bubble located on the top right corner of your screen and let us know where you’d go! 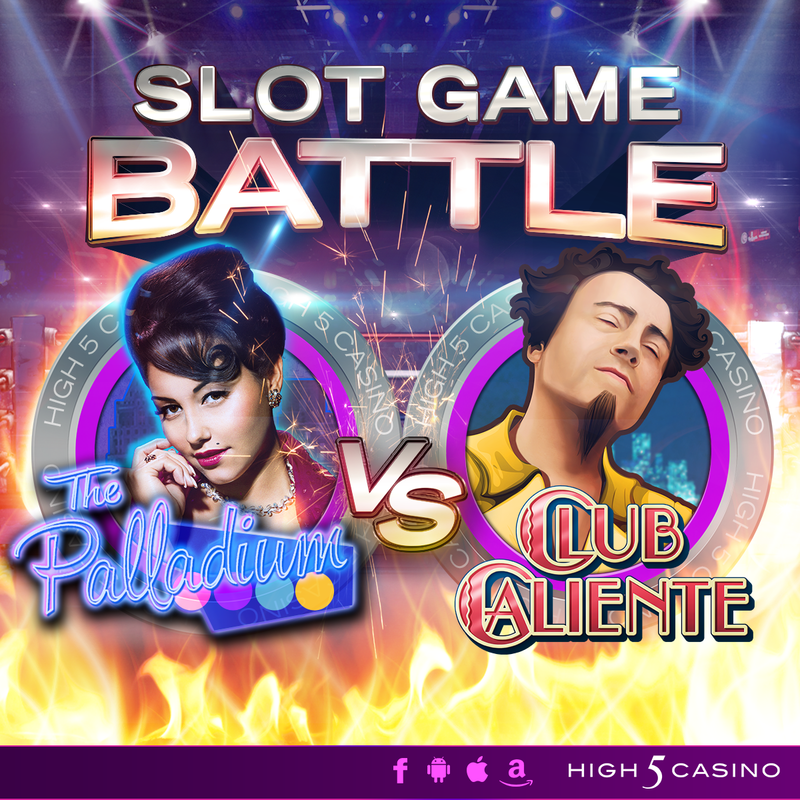 This entry was posted in game preview, High 5 Casino, High 5 Fight Club, High 5 Games, High 5 Moments, Slot Game Battle, top games and tagged App Store, Facebook, Free Games, game preview, Game Spotlight, game vs. game breakdowns, Google Play Store, High 5 Casino, High 5 Casino Mobile, High 5 Games, iOS, iPad, iPads, iPhones, mobile gaming, slots, social gaming by hoothigh5. Bookmark the permalink. The Palladium where the night never ends!!!!! !